PEX, cross-linked polyethylene pipe, withstands extreme temperatures as well as chemicals, allowing it to be used in hot and cold water systems. It offers an easier, faster installation, as it can bend rather than using joints. 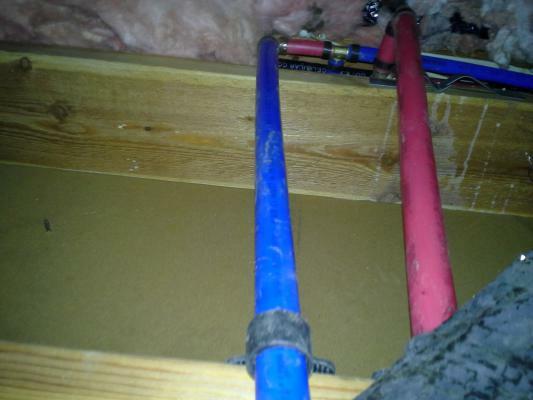 PEX was introduced in the US around 1980 and is often seen in radiant heat flooring applications, but has now become commonplace for repiping and plumbing repairs. PEX popularity can be attributed to many factors, includingcost, flexibility, resistance to scale and chlorine, and fast installation with fewer connections and fittings. 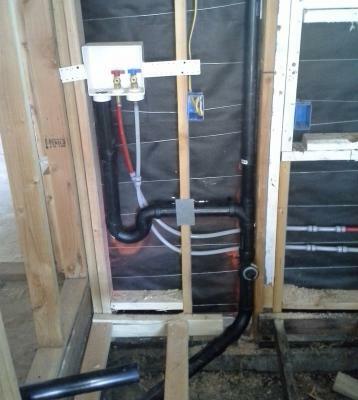 PEX is also more efficient as it doesn't lose heat like a copper pipe will. Although PEX is not suitable for use outside, it is much more resistant to freezing temperatures and bursting. 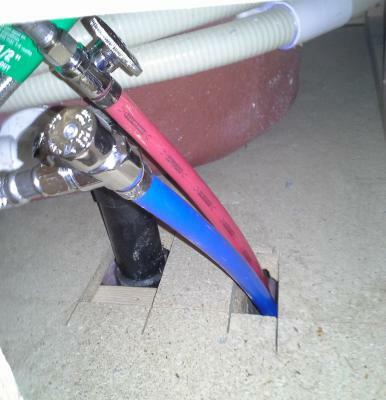 PEX is color coded based on water temperature (red is hot, blue is cold, white is any) which is a handy feature. Besides being colorful and flexible, PEX pipes are also very durable, there is less chance of future leaks, they are quieter, resistant to extreme high and low temperatures, efficient, provide fast flowing water, can reduce your utility bills, are environmentally friendly, and last a lifetime! 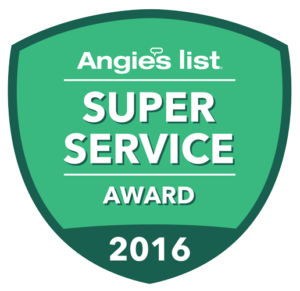 Interested in the services above ? Click the button to email us and will get back to you !